“Unexpected Item in the Bagging Area”. Sound familiar? Annoying isn’t it. When self-service checkouts were first introduced, customers were promised shorter queues, and a more convenient way to checkout — quickly and easily. Unfortunately, they haven’t quite lived up to that promise, and for many, it’s the bugbear of their weekly shop. If anything, the reduction in manned tills, has led to an increase in frustrated customers, and longer queues. But why? These systems seem to suffer from “barcode blindness”. You constantly find yourself swiping the item across the scanner, getting further frustrated, with each unsuccessful attempt to get the till to register the product. 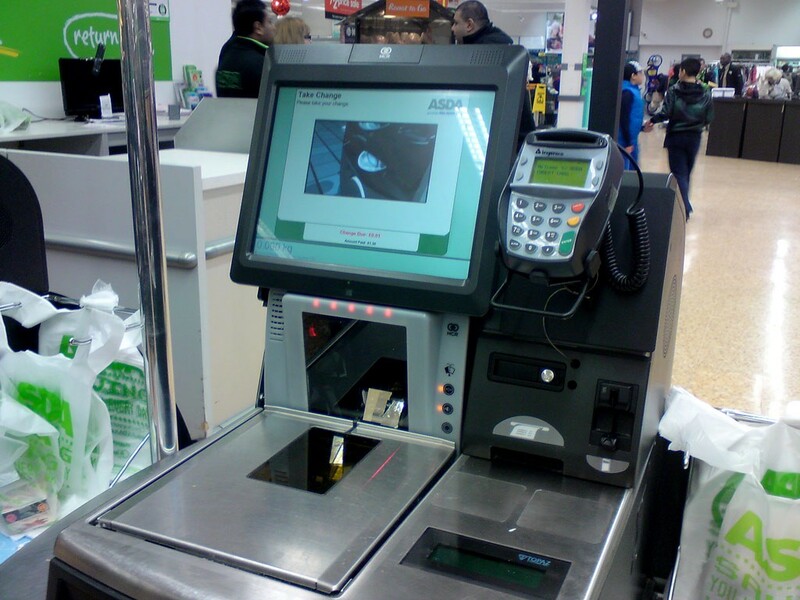 Only the other day, I was in ASDA, when I witnessed a gentleman in his early 40s, attempting to scan a potato. Unfamiliar, with the concept of a barcode scanner, he uttered expletives, getting louder and more aggressive, with each attempted swipe over the scanner. The Sales Assistant supervising the self-service area, realised the situation was worsening, and went over to the gentleman, but rather than advise as to how to weigh the potato, she forcibly took the potato out of his hand, weighed it herself, then put it in the bagging area, before scampering and shaking her head in disgust, once out of view of the customer. Okay, so part of this may be down to user inexperience / error, but regardless, the fact that the gentleman was unaware as to how to register the potato, to pay for it, suggests that the barcode scanning / item keying in element of the self-service experience, is not necessarily an intuitive one, for some shoppers. Similarly, the Store Assistant could have handled the situation with much more tact. If all you want to do, is buy a crate of beer, or a couple of bottles of wine, using self-service checkouts, can often be a hindrance, especially during busy periods. As the tills have no way of checking, or validating, your proof of ID, you have to attract the attention of the individual, supervising the self-service area, which is often easier said than done. As such, it delays the speed and convenience of using these types of tills to check out. You’re sometimes quicker using a manned, “10 items or less”-type checkout. There’s also the embarrassment experienced when the checkout announces to everybody in the vicinity, that you’re trying to buy something that requires age verification. As soon as that announcement is made, you can bet your bottom dollar that everybody around you, is looking at what you’re trying to buy! There’s also potentially a disadvantage here to the store itself, in that the individual supervising the area, often overrides the “Age Verification” screen on the till-point, without always asking the customer for ID. I’m 30, but could easily pass as someone under the age of 25, in which case, as far as most UK stores’ policies are concerned, I should be asked to present proof of age, but I never am. The fines that business’ can receive (and the subsequent punishment to the worker, who allowed for the purchase to be made), if they are caught selling age-restricted products, to under-aged customers, can be very severe. As if item scanning wasn’t bad enough, there are those occasions we’re all way too familiar with, whereby you put your scanned item into the bag, only to be forcibly advised by the Voice of the Checkout, that you have an “unidentified item in the bagging area”. It seems to happen more often than not, when you’re too slow moving an item into the bag, be it, because you’re either trying to make more room for other items in the bagging area, or even, if you’re trying to open up another empty bag, ready to place your goods into. I appreciate the express nature of these checkouts, but it seems like they haven’t been calibrated to allow the average shopper enough time to scan, and bag a product, before moving on to the next item. 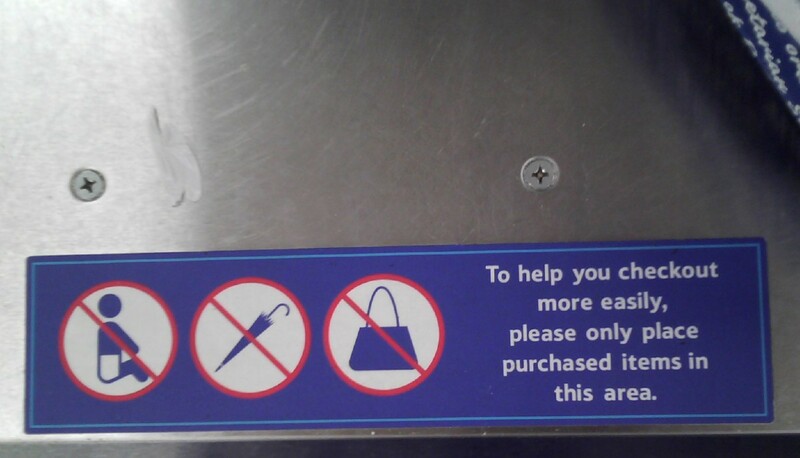 Worse still, is the sensitive nature of the bagging area. Move an item from one bag to another, midway through the scanning process, and you guessed it — error. On one such occasion, I had my hands full, so took my gloves off, and briefly laid them in the bagging area — to make it easier to key in my PIN, to pay for my goods — but it confused the checkout further still, even at the payment stage! When you finally do reach the payment phase of the process, you’re then asked whether or not, you want any cashback. £10 please. Great stuff. Wait, where’s my money? 5 seconds later, and you realise that the cash dispenser is [in]conveniently situated beside your knee-cap. I’ve seen many customers distracted by the receipt and coupon dispensers, located higher up the till system, who in turn, have completely forgotten to take their cashback. This is often a result of the cashback [wrongly] being dispensed, after the receipt and coupons have firstly been issued. Worse still, the GUI reminds you to take your receipt, but where’s the reminder to take your cashback! Weren’t self-service checkouts meant to result in shorter queues? Apparently not. Supermarkets in particular, seem to be reluctant to open enough manned tills, to cope with customer demand. 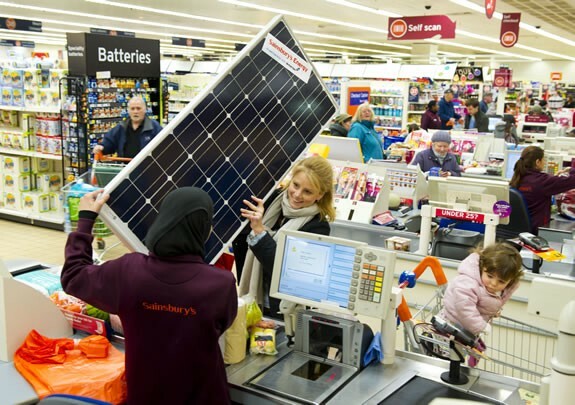 On a busy Saturday afternoon in Sainsburys, I witnessed a total of 5 tills being manned by a member of staff (this particular store, has capacity to man approx. 20). As a result, the two dedicated self-service checkout areas (each with 4 tills) had queues backing up the aisles. Customers with full-sized trolleys, filled to the brim with produce, were instead turning to the self-service checkouts, to scan their shop. These are meant to be “express” tills so-to-speak, meaning that those with much smaller shops of 10 items or less, were faced with unnecessarily long queuing times. 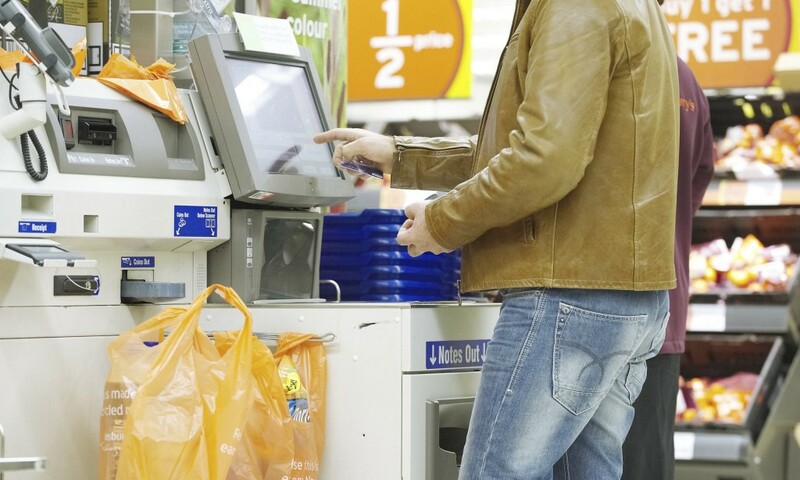 Those amongst us, who are less sociable, or who simply don’t like “small talk”, may see the lack of human interaction as a positive, in which case, self-service checkouts are tailor-made for these individuals. For me personally, for the most part, I like to interact and make conversation with the Till Operator, when I’m making my purchase. It just brings a sense of reality, or rather, normality, to the shopping experience (and it’s a good opportunity to have a whinge, whilst putting the world to rights!). It’s oddly, therapeutic. Similarly, it’s reassuring to know that there is someone on hand to provide immediate assistance, should you need it, for example, with bagging your items. When you’re doing a bigger shop, and you have a lot of items to bag, but you don’t want to feel rushed in your packing effort (as is often the case, when there’s a big queue behind you), it’s always nice to know that there is someone else on hand, to help you out. Human interaction is also great for those occasions when you have a product, such as a box of eggs, and you’ve not noticed that one of the eggs is cracked. When using a manned till, the Till Operator can immediately contact a colleague on the shop floor, to get a replacement for you. It’s not always that straightforward, when you go through a self-service checkout, and there is only one Store Assistant, trying to keep an eye on 8 tills, or more. On the whole, I generally feel a lot happier after having had a good conversation with the Till Operator, which again, adds value to my shopping experience. The lack of that interaction with a “real” person, when using a self-service checkout, is a negative for me. - The Telegraph, Claire Carter. (2014). Shoppers steal billions through self service tills. Due to the lack of supervision, it’s very easy for shoplifters to “accidentally” swipe the item faster than the barcode scanner is able to register it, and place it directly in the bagging area. It’s a tactic commonly-used to pilfer fruit and vegetables, which don’t have barcodes, and instead require the items to be weighed. The unnecessary “upsell” of selected items, such as, batteries, stamps, and huge blocks of Galaxy chocolate?! — shame on you WHSmith and Superdrug! Just let me pay for the stuff I “want”. The fact that promotions / multi-buy deals aren’t deducted from your order total, until you reach the payment stage. This one is really misleading, as you’d expect the promotion to kick in, as soon as you’ve scanned the items that qualify you for the deal. The bagging area is too small to fit more than two bags of shopping, at any given time. Move one from the bagging area to the floor (to make room for your third bag), and there’s hell to pay. 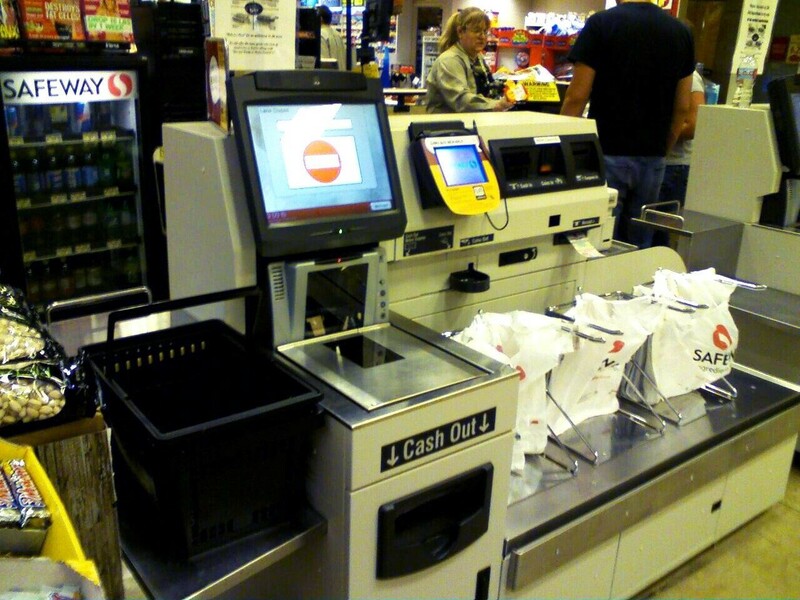 So, where does the future of the self-service checkout lie? Until business’ realise the non-efficient, constantly malfunctioning nature of self-service checkouts, and the impact this has, on their customers; unfortunately, it looks like we’re stuck with them, for the short-term, at least. For me, I would rather see the money reinvested into employing and training more people to man the “full-size, traditional” checkouts, that these stores have already invested a small fortune in, when first kitting out their interior. At a bare minimum, there should be a minimum number of these types of checkouts in operation, at any given time, to cater for those customers, who like myself, prefer human interaction to self-service disruption — particularly during busy / peak shopping periods. 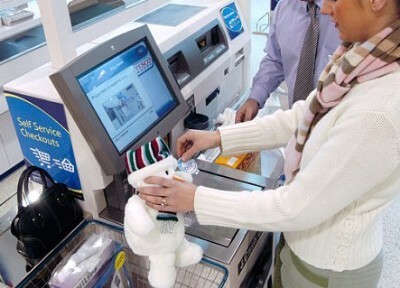 If self-service checkouts are here to stay, at least invest a reasonable level of funding into the research and development of these systems, to aid improvements to the physical design of the machines, as well as the software design, in an effort to restore faith in the self-service experience. Originally written and published to www.uxchap.com on February 26th 2015, by Joe Pendlebury.